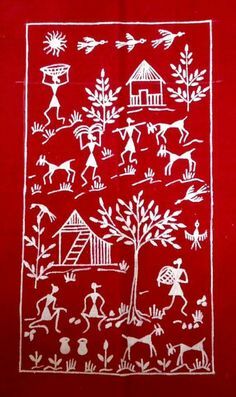 Poet’s Notes: This poem was written in response to a picture prompt—a traditional Indian Warli painting of a tree with a deer standing at its base. The leaves from the tree were shedding onto the deer’s antlers, and on the tree’s branches; birds sat looking down at the scene, a complete ecosystem in a single frame, soul-stirring in its simplicity. Editor's Note: I heard Daphne, post-metamorphosis, speaking to Apollo here https://greekgodsandgoddesses.net/myths/apollo-and-daphne/.